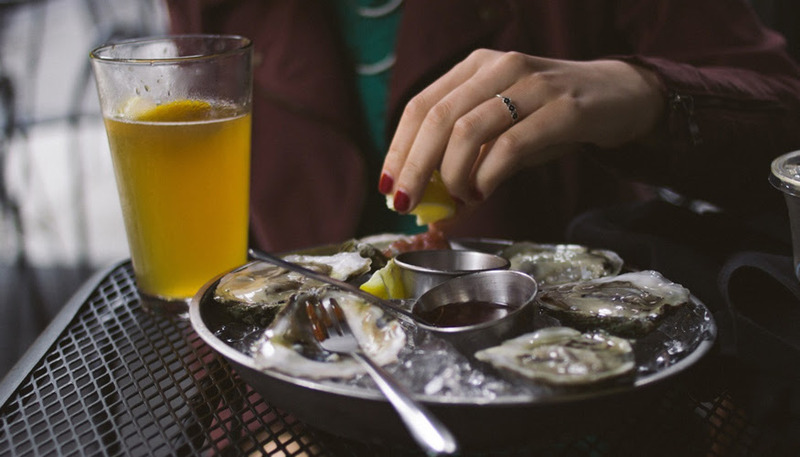 Sussex County – Treat Yourself to Oysters at Local Restaurants this Holiday Season! When you order oysters or clams from a participating restaurant, that shell will be reused in the Delaware Center for the Inland Bays’ “Don’t Chuck Your Shucks” oyster shell recycling program. With your help, we can achieve the program’s goal of 4,000 bushels in 2017! A partnership between the Delaware Center for the Inland Bays and local restaurants, this program collects discarded oyster shell for use in oyster restoration projects in the Inland Bays. When you visit one of the participating restaurants, the spent shells (shucks) from your plate will be separated from the waste stream and put into special bins. Next, the shell is taken to a collection area where it will sit in the sun and “cure” for a minimum of six months before it is recycled for local habitat restoration projects such as Living Shorelines and Oyster Gardening. Closing out its 2017 season on a high note, the program is just short of its 4,000-bushel goal – but you can help! Order a dozen (or more) and share the holiday spirit with your friends – and the Inland Bays. A list of participating restaurants is available at www.inlandbays.org/shucks. 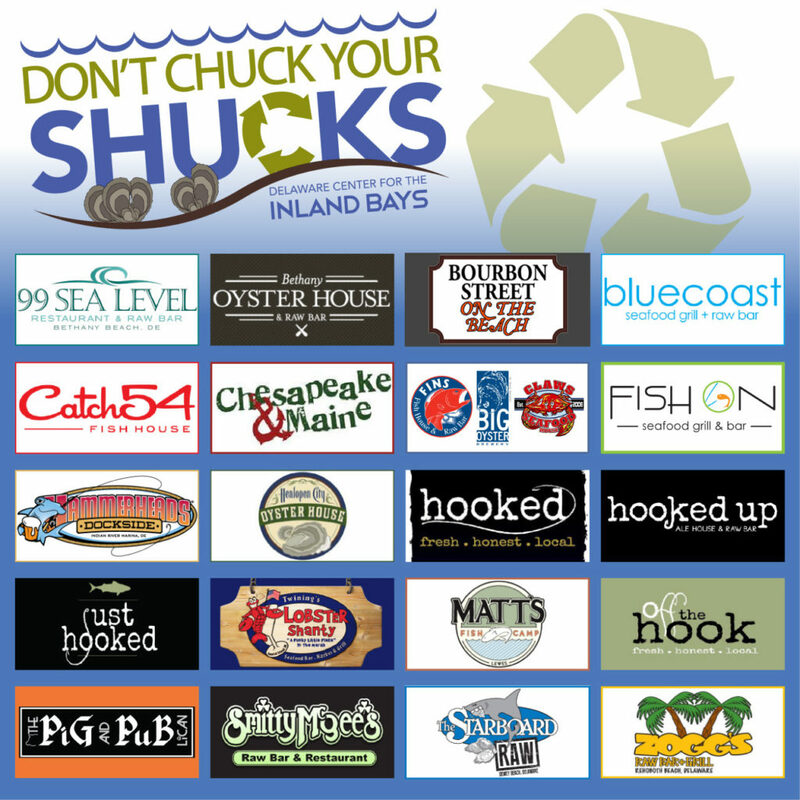 Be sure to ask your server if they participate in the “Don’t Chuck Your Shucks” shell recycling program.